$2999$29 and 99 cents$1.63 / oz. 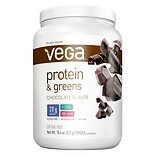 Shop Vega Protein & Greens Chocolate (18.4 oz. )18.4 oz. 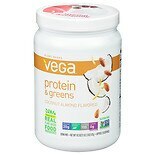 Shop Vega Plant Based Protein & Greens Drink Mix Coconut Almond (18.3 oz. )18.3 oz. $2999$29 and 99 cents$1.64 / oz. 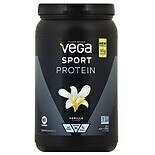 Shop Vega VEGA SPORT PROTEIN VANILLA TUB 20.4OZ (20.4 oz. )20.4 oz. 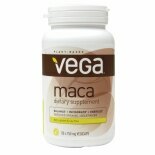 $3499$34 and 99 cents$1.72 / oz. 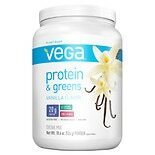 Shop Vega Protein & Greens Vanilla (18.6 oz. )18.6 oz. $2999$29 and 99 cents$1.61 / oz. 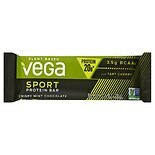 Shop Vega Protein Bar Crispy Mint Chocolate (2.5 oz. )2.5 oz. 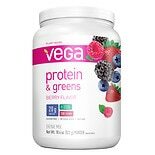 2 for 6 dollars and 00 cents or 1 for 3 dollars and 29 cents 2/$6.00 or 1/$3.29$1.32 / oz. 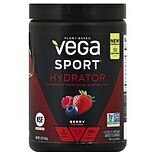 Shop Vega Sport Hydrator Berry (5 oz. )5 oz. $2999$29 and 99 cents$6.00 / oz.